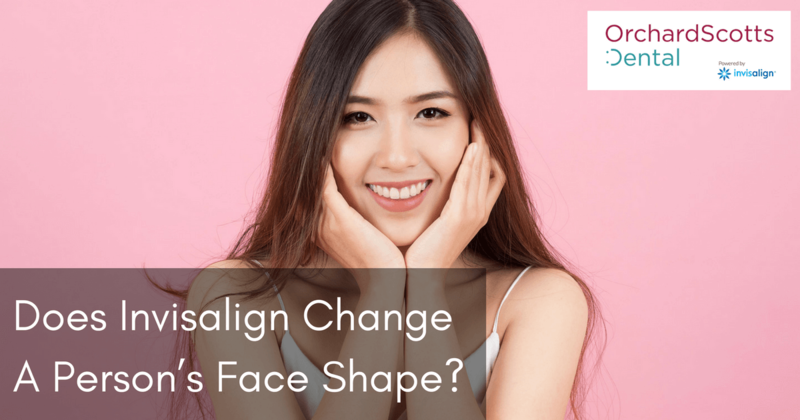 Does Invisalign Change A Person's Face Shape? Does Invisalign Change A Person’s Face Shape? Before you start adjusting your teeth with Invisalign, you may wonder how it will affect your appearance in the future. Your Invisalign provider in Singapore has shown you the 3D imaging results, the picture of what your smile may look like at the end of treatment. However, it’s hard to imagine how the changes might alter the rest of your face. Explore how the condition of the teeth and jaws can affect the shape of the face, before and after Invisalign. Your face shape is determined by the structure of the bones underneath, including the jawbones, brow bones, and cheekbones. It’s also determined by the amount of flesh, muscle, and fat that overlay those bones; and those elements are determined by genetics, age, weight, diet, and other factors. Sometimes, the shape of your face and the health of your teeth are indirectly linked. You may have a crossbite which causes your jaw to jut sideways, an overbite that makes your chin look weak, or an underbite that makes the lower jaw protrude. These issues can cause teeth grinding, jaw pain, problems with speaking clearly or chewing effectively, and other issues. If you have any of these problems, your dentist in Singapore will explain how they affect your health. He may recommend surgery, appliances, or headgear to correct the most significant bite problems or jaw malformations. However, in most cases, a mild or moderate bite problem can be fixed with the strategic use of Invisalign. The Invisalign system works over a period of one to two years. During that time, you’ll have multiple sets of clear aligners, each one shaped a little differently than the previous one. Each aligner moves your teeth gradually into a new position. Your dentist’s role is to identify problems and designed customised aligners that slowly correct those issues. Your job is to wear the aligners for 20-22 hours every day, for as many weeks and months as necessary. At the end of the treatment, your teeth will be in their new permanent positions, and you’ll need to maintain that look by wearing aligners only at night. By the time you finish your Invisalign treatment, you may notice a slight change in the shape of your mouth. If your lips were being pushed out by protruding teeth, they will look different after the treatment. If you had an underbite, overbite, or crossbite that was corrected with Invisalign, your lower face may look a bit different as well. Unless you had additional treatment via surgery or appliances, the changes will be minimal. Chances are, you’ll love your new look much more than your old one! Are you excited about the potential for change? Get all the information about Invisalign and your beautiful future smile by contacting Orchard Scotts Dental, an experienced provider of Invisalign in Singapore. We’ll get your smile makeover started right away!